Chris Paul was only 5'1"! Chris Paul just shared my favorite throwback Thursday photo in a long, long time. 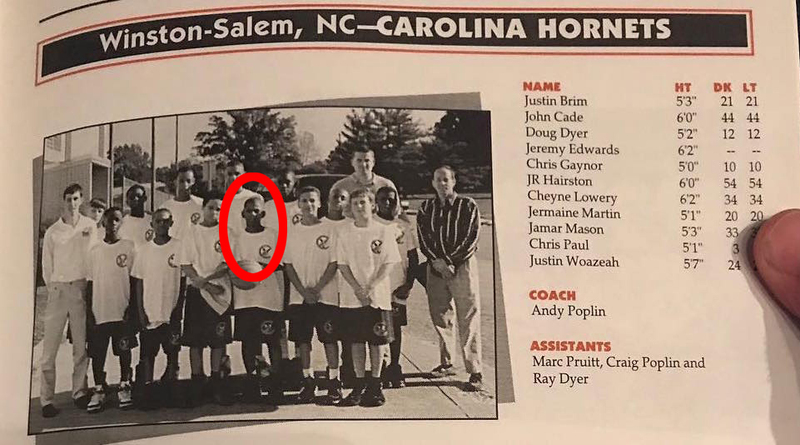 Twenty years ago, when CP3 was just 5'1", his AAU team made the U12 national championships. Also in that tournament: 5'7" LeBron James. What’s even more impressive is that Paul and James’s teams happened to be on the same page of the program. What are the odds of that? 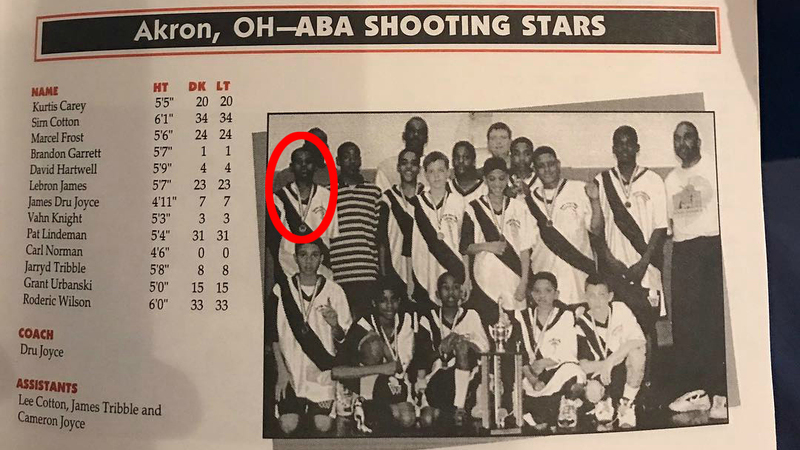 I can’t be certain, but I believe this is LeBron right here. And this looks like Paul. Also, how cool is it that both guys are still wearing the jersey numbers they wore on those teams?